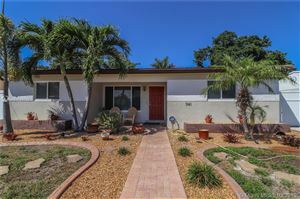 How did we become one of the best Real Estate Companies with Homes For Sale in Sunrise? Because we care. We care about our clients, we care about our families and friends and our communities. Simply put, we care about people and where we live. Let our extraordinary and professionally trained agents care for you with a superior level of service that most other companies must think went out of fashion with VCRs. I have been in Real Estate sales and an active member in the community since 1997. I am also a Licensed Property Manager. My passion is the joy and happiness my clients feel from the purchase or sale of their homes. It drives me to work even harder for them, which is how this business should be. I am involved in several charities, with my main focus on the LRCC Foundation. My goal is to try and impact not only the community as a whole. But as many people in our community as I possible with positive encouragement. Be involved with people who are not scared to make changes to better the community and fight for the ones that cannot fight for themselves. I encourage all of you to join in with me, in spending our short time here on Earth making changes that count. Touch people lives in ways that they never forget and hopefully leave them with encouragement to pay it forward and touch someone else’s life!! I have been a full time agent since 1997. My daughter, Sherry Fell, and I have been partners in real estate since 2003. It’s truly a blessing to work with each other. I sincerely enjoy working with my clients in both the purchase and sales of their homes. A big part of my business comes from referrals from these same clients. I am grateful for their loyalty and support. I am a member of the Broward, Miami, Palm Beach and Martin County and National Multiple Listing Service or “MLS”. I also belong to the National Association of Realtors. In my career I have been a top producer for many years starting in 1998 as a member of the 100% Club at Re/Max Realty. I have continued to exceed every year since…both at Re/Max and then in our own company, 5 County Real Estate. I have also been featured in Florida Realty Magazine and our company has been featured on HGTV Property Virgins and 2 Episodes of Island Living. Our office has also won the 2017 Small Business of the Year for Broward County. Along with my partner and daughter, I am involved in several charities. We give back to our community and those in need all year through. I have been in the Real Estate arena for a short time but I have been in Business Management for the past 23 years. It is truly inspirational to work for a company like 5 County Real Estate. You are constantly learning, growing and pushing yourself to the next challenge. Personal and Professional growth is something the Broker, Sherry Fell, believes in and lives by. I have never experienced a more Energetic, Caring, Family Oriented and Thoughtful place of employment in my life. When you have manager that provides a positive working environment, encourages you to continue to grow and genuinely wants you to be the best you can be it does not come along very often. I highly believe in the “Paying it Forward” type attitude and I am lucky to say that 5 County Real Estate does as well. I am personally involved in local charities such as Kids in Distress and Women in Distress. As well as the multiple charities we promote and contribute to as a whole through the office. It is very rewarding and inspiring to me to be a part of a place of business that shares my thoughts and beliefs in helping others. “A real estate agent’s love for their territory and genuine interest in clients wants, needs and desires when purchasing or selling a property, is the key to this business”. Kendall acquired her passion for homes and real estate as a young child. Growing up in a small town in Indiana, about 60 miles from Chicago Illinois, there are several John Lloyd Wright and Frank Lloyd Wright homes in the area. She had a good friend who lived in a beautiful John Lloyd Wright home and remembers every detail of the property. She was hooked on various different types of properties both famous and not so famous! Not only has Kendall had her real estate license for 18 years she also held a loan originator license for 4 years, is a certified CPM and retired in 2016 from American Airlines, as a flight attendant. Kendall attended Purdue University from 1989 to 1992 and earned a Bachelors degree in Business Management. Kendall’s clients and colleges alike appreciate her honesty, integrity, negotiating abilities, intuition and compassion which translates into her natural ability to put clients first, and to a dedication to giving back to her community. She a huge advocate for organizations that cater to abused and mistreated animals and contributes to the Broward County Humane Society. She and her husband adopted 2 dogs from the Broward County Humane Society and both dogs are doing amazing! I am one of the newest realtors to 5 County Real Estate, Inc. and I could not be happier with my choice to join the team. The broker/owner Sherry Fell, takes the time to work with new agents and makes you feel part of the team immediately. I absolutely love working at 5 County Real Estate and with my new team members. I have been a Florida Keys Resident since 1981 and a Florida Realtor since 2000. Selling properties and finding dream homes for families is what I love to do. I find a lot of satisfaction in being able help my neighbors by either selling them their Piece of Paradise, helping empty-nesters downsize or relocate to another location. Bachelor of Science, Community Development. Avid Bonefisher! Award Winning, Top Producing Broward County agent! Through my hard work, dedication, experience and strong work ethic, I have earned the reputation in my community as an agent that “treats clients like family.” My Team has helped hundreds of people find or sell their home! We also have short sale experts on our team ready to help you buy or sell a short sale home! Working with 5 County Real Estate has been nothing but a great experience from the beginning. This company is an excellent company to be a part of. All the staff is very helpful and motivated to help all the agents with any deal or questions at anytime. I have built life lasting relationships with the agents and clients due to the knowledge of the Broker, Sherry Fell. She enjoys teaching us how to talk to people that can make all transactions easy, smooth and enjoyable. You can say that I am living proof of Sherry’s hard work. Sherry taught me everything that I know about Real Estate Sales and Marketing. I have been with her for over 12 years and am still going strong. Sherry genuinely cares about each and everyone’s success. She works hard and expects the same from her Agents. This office truly trains their agents from ground zero if need be, unlike other offices that say they will train and just take a chunk of your money. The portion of the sale that you walk away with far out ways most agencies and you definitely get valuable constant learning experience along with constant support. I highly recommend 5 County Real Estate to all levels of agents from beginners to veteran teams. Originally from Australia, Noni has made South Florida her home with her husband and young son for the past 6 years. While Noni specializes in Broward and Palm Beach Counties, she also has experience in the Miami-Dade market. Noni loves to meet new people and guide them through finding their dream home. Whether buying, selling or renting, Noni works hard to be your best advocate and make your experience as stress-free as possible. Constant communication and infinite patience are just a few of the things clients praise her for. She is proud to be a part of the Award winning 5 County Real Estate family, and loves the collaboration and support offered by the team. I started my career in 1986 as a mortgage loan processor. As I was working in that field I processed incoming files and had extensive contact with professionals all across the mortgage and Real Estate industry. In communicating with my Realtor partners I decided to transition from the mortgage industry to the Real Estate agent community. This provided me more opportunity to communicate and assist my clients in finding their dream home. I was licensed as a Realtor in 1991 and my entire career since that date I have been dedicated as an exclusive buyers agent. Since joining 5 County Real Estate in 2016 my most important priority is having productive and open communication with all my clients. We both have the same goal which is to locate a perfect new home for each and every client. I am driven and passionate. I present myself as a professional to all parties in each and every transaction. I recognize the fact that all of us have to work together to achieve the best results to conduct a successful closing on the client’s new home. In identifying as a buyer’s agent I am afforded a wonderful opportunity to assist my clients in exploring many different locations throughout our community. I have extensive knowledge of 3 Counties. I am experienced in transactions involving single and multi family homes. I have assisted investors in locating properties that generate maximum return on their investment. I have also been involved in assisting many foreign clients with relocation services. This is who I am. Real Estate is what I love to do. I would be honored to partner with you in finding your new home. Plus, we know nothing is perfect so over the years we’ve built a network of experienced and trustworthy professionals to aide you with services ranging from making a new home sparkle and shine to fixing up a property so to get the highest selling price possible. These services ranging from escrow and mortgage experts to interior designers, remodeling for floors, kitchens and bathrooms, handyman, movers plus landscape architects who help round out our real estate companies’ dream team. We expect excellence in ourselves and our support staff will work hard to provide you with a level of service and attention to detail that is rarely found in South Florida. We encourage you to call any our wonderful staff below on (954) 999-5207.